As my father is a Civil Engineer, I chose to follow in his footsteps and pursue a career in Transport Planning / Civil Engineering. I soon found that Transport Planning was better suited to my skill set of organisation, report writing, data analysis, communication, time management and teamwork. I had already gained some experience working with GTA Civils & Transport for over a year before starting my apprenticeship. During that time I attended The Principles of Traffic and Transport 20-week evening lecture series run by PTRC. This training course is geared towards young practitioners, so it gave me a basic understanding of the background/history of Transport Planning and provided an introduction to the broad array of activities transport planners undertake. The lecture series inspired me to continue developing my knowledge and understanding of Transport Planning and I then set my sights on a gaining a qualification to further progress my career. I work with a team of highly-qualified and experienced Transport Planning professionals at GTA and they encouraged me to start my apprenticeship. I am currently undertaking the Pearson BTEC Level 3 Diploma in Transport Planning and throughout the course they have given me advice and support. At the end of my first year at the Leeds College of Building, I was awarded Advanced Apprentice of the Year (Transport Planning). Overall, the apprenticeship has allowed me to broaden my understanding of Transport Planning. I have since gained more experience in different aspects of the profession through internal training with my colleagues at GTA and this has enabled me to put my newly developed knowledge into practice. I have now gained experience in writing a range of documents relevant to my profession, including Transport Reports, Transport Statements, Transport Assessments, Travel Plans, RSA Designers Response, and Construction Management Plans for a variety of development types. The internal training sessions at GTA have also enabled me to gain experience in using Junctions 9, a modelling tool used for its predicting capabilities (queues, delays, and accident risk at roundabout and priority intersections). Throughout my time with GTA Civils & Transport they have supported my desire to progress my career within the company and have helped develop my knowledge through lectures, seminars and the 2-year apprenticeship. Recognising that I have grown in experience, they have given me more responsibility. As an Assistant Transport Planner, I now manage my own projects once they have been allocated to me – from onsite visits and liaising with clients, to preparing/issuing reports including use of the detailed TRICS database, arranging any necessary surveys and drawing works etc. I have also been given responsibility for assisting in the training of work experience candidates and new members of staff. Once I have completed the End Point Assessment for the apprenticeship, I will be EngTec qualified as a Member of the Chartered Institute of Highways and Transportation (MCIHT). In the future I aim to complete a degree in Transport Planning so that I can continue to progress further within the industry and with the CIHT. 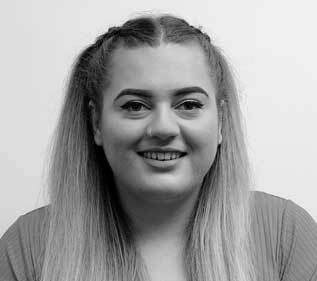 Rachel is an exemplary apprentice with a genuine passion for Transport Planning. Her focus and dedication makes her a highly valued member of our team. In terms of career progression in Transport Planning with GTA, the sky is the limit for Rachel! Are you interested in doing an apprenticeship? Apprenticeships are a great way to start a career in Civil Engineering or Transport Planning and GTA actively supports those seeking to learn new skills whilst working within the company. If you are looking to build your career through an apprenticeship, visit our Careers Page for more information.